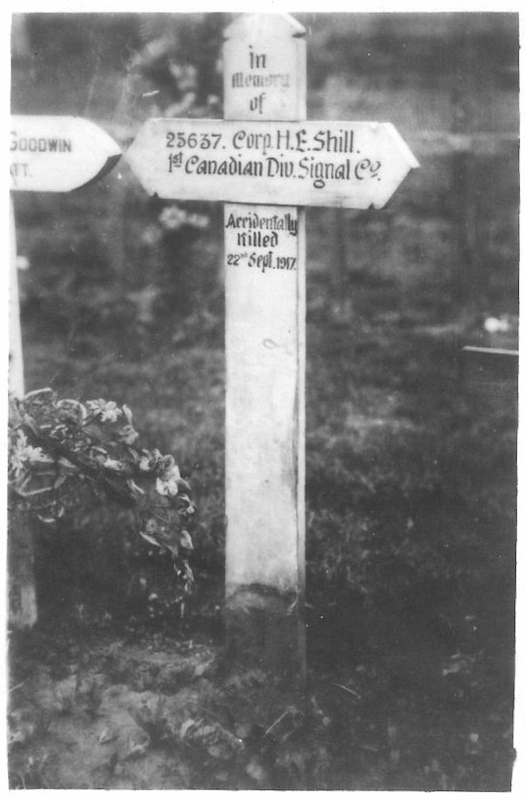 Corporal Herbert Edward Shill can be found on the Canadian Virtual War Memorial Site where you can also link to the First World War Book of Remembrance where his name is recorded. You can see page 325 displayed on July 15th in the glass case where the book is kept in the Memorial Chamber of the Peace Tower on Parliament Hill in Ottawa. 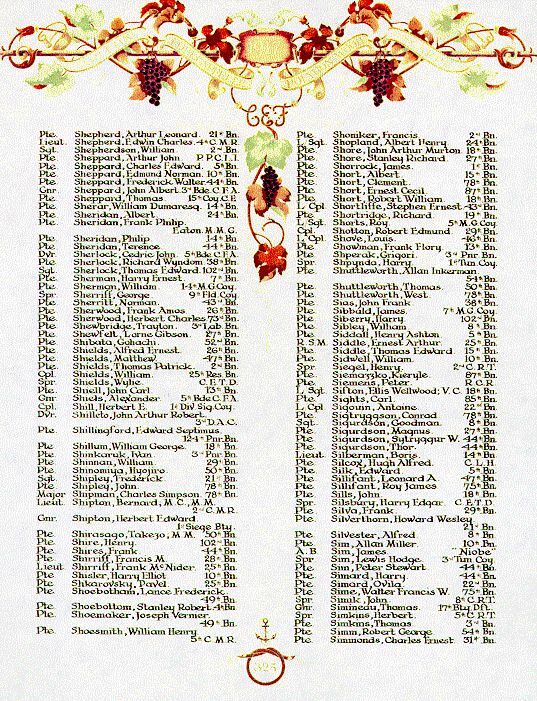 There is a calendar showing when each page of the Books of Remembrance is on display. In 1991, one of Nell Waddell’s sons requested complete copies of the military personnel files of his two uncles who had died in World War One, casualties of The Great War. Between the two files of No. 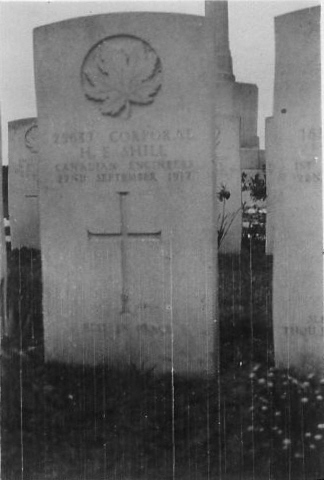 401824 Private John B. Shill and No. 25637 Corporal Herbert E. Shill, there were 70 pages. Many of the pages had sections that were blacked out that contained other people's personal information. Age: 19 yrs, 9 mos. Initially joined: 1st Grenadier Guards, and became part of the 14th Battalion, 3rd Brigade also known as the Royal Montreal Regiment. Drew up his will leaving everything to his mother in the event of his death. On Strength, in the field, 14th Bn. Copy of will extracted while he was on leave, at that time he was referred to as Sapper. Court of Inquiry held to determine fault of death if any.